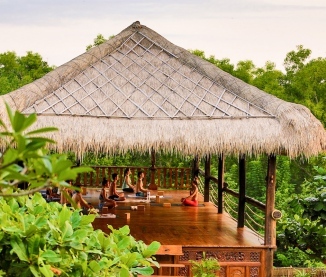 Yoga Retreat in Coastal Bali - Waitlist Only! The ocean front shared bedroom can have 2 Twin beds OR 1 King size bed + 1 Rollaway*. This room has a private shower and a shared toilet with the standard double room. *Rooming assignments made on a first come first serve basis. 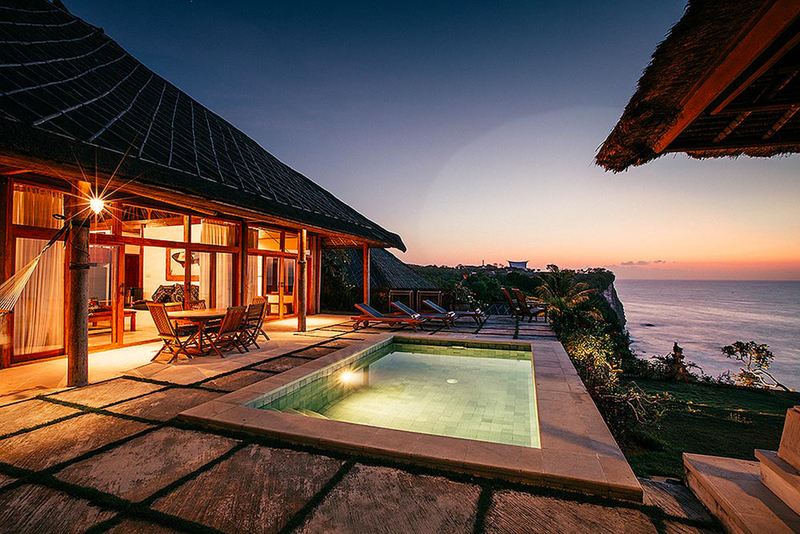 Each villa is comprised of 3 rooms with a shared common area and private pool. The villa can sleep up to 6. 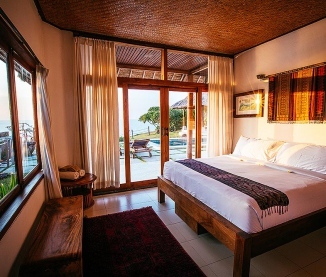 The ocean front master bedroom has 1 King bed with private shower & private toilet. 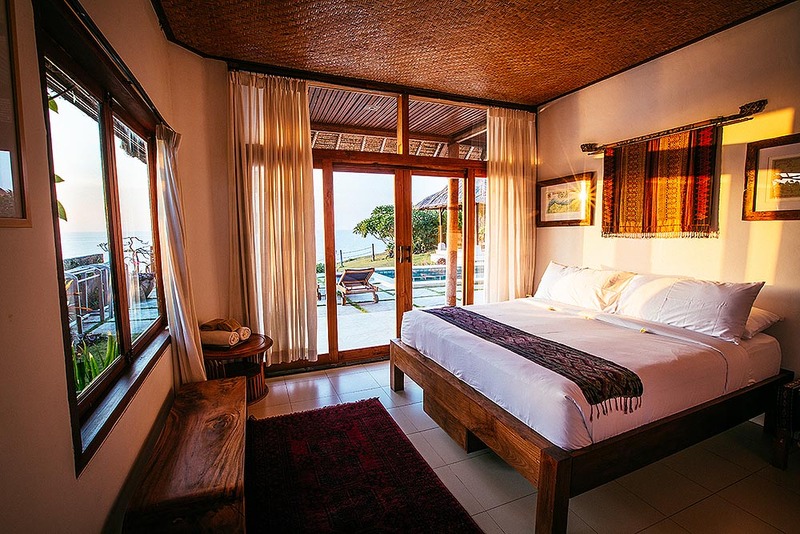 The standard double room has 2 Twin size beds, a private shower and a shared toilet with the ocean front double room. Our Loft apartment is located directly below the Morning Light Yoga Studio. It’s a secluded, reclaimed hardwood loft apartment that fuses lush forest with ocean and sunset views, a perfect getaway for 1 or 2 people. 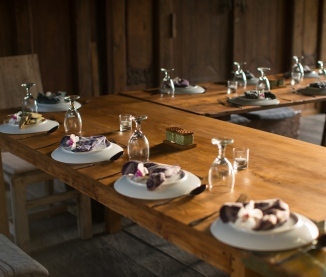 The Loft features a shaded upper deck built from reclaimed teak and ironwood where you can take in the ocean breeze. 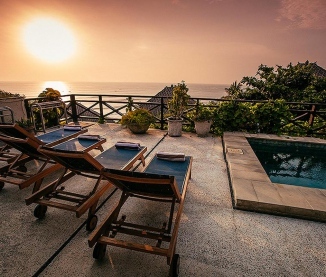 The loft has access to the cliff front with an spectacular view over the Indian Ocean. 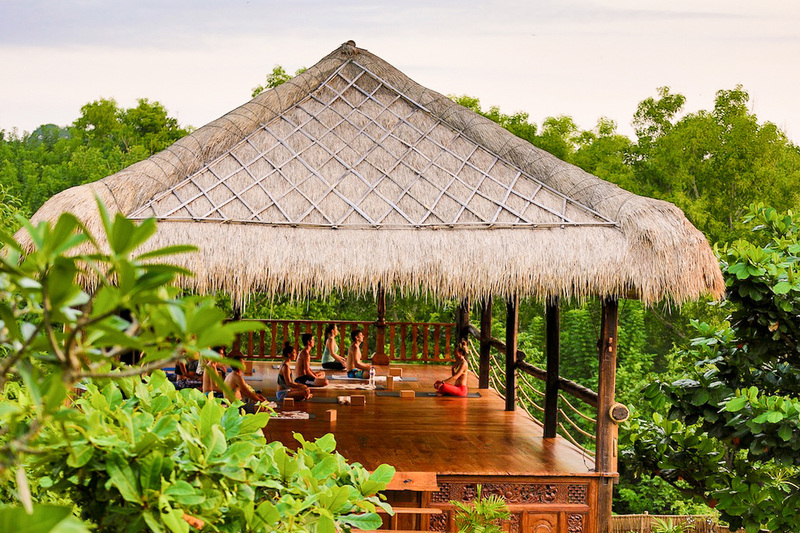 Join Laura for a week of yoga at one of the most stunning coastal locations in Bali. 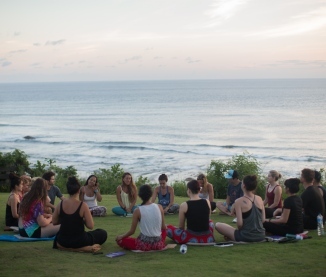 The intention behind the retreat will be to let go, have fun, relax, replenish and connect deeply with your authentic self and with those around you. 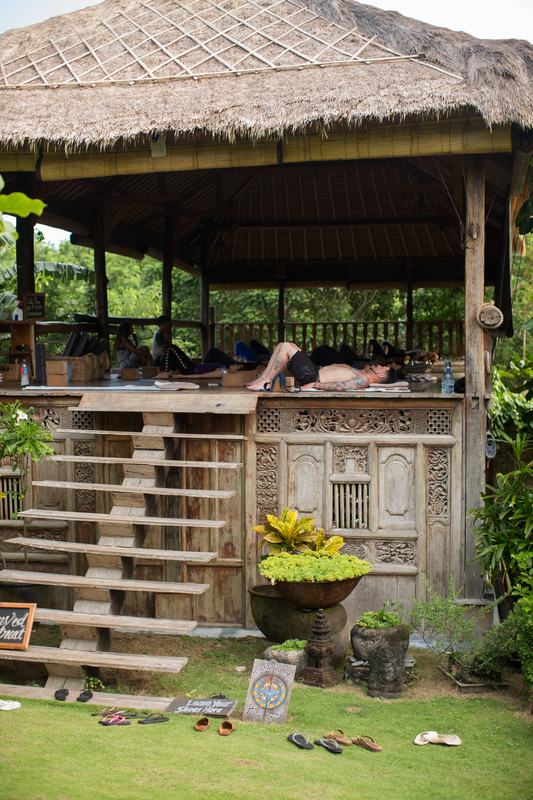 One of the best parts about Bali is the peaceful, relaxed, meditative energy amongst the locals and travelers visiting the island. 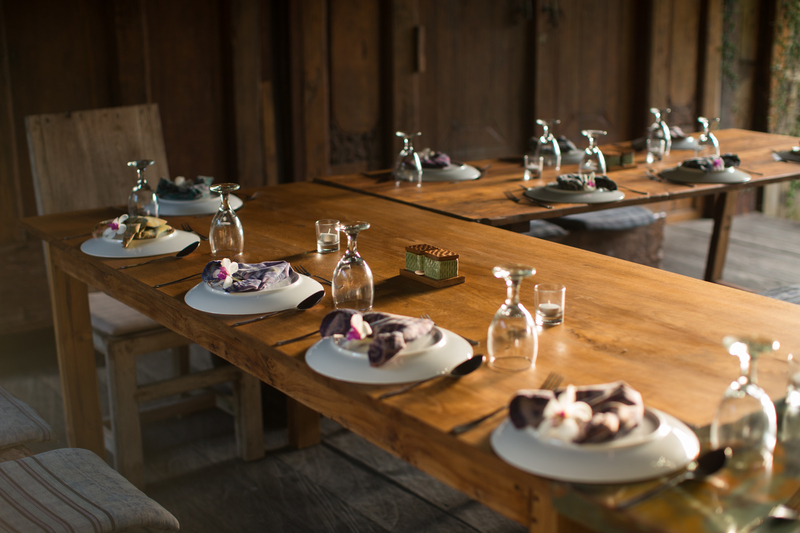 During this week you’ll be able to deeply drop into your practice and soak up the tranquil environment around you. 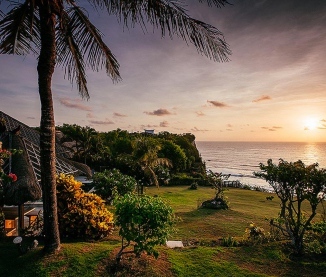 Our gorgeous accommodations overlook the ocean, guaranteeing sunny days, tropical breezes, space for yoga and for those interested, plenty of opportunities to surf. 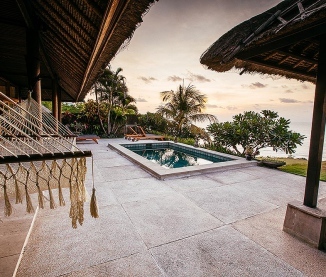 The shared 3 room villas feature a traditional thatched roof and coconut pillars with large folding-glass doors so you can take advantage of the spectacular natural beauty of the outdoors. 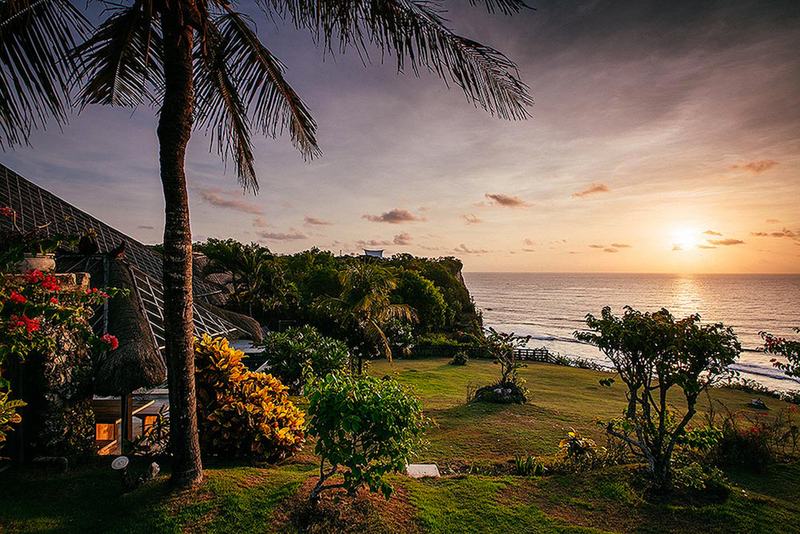 With 180-degree views of all nearby surf breaks, you can check the waves and watch the sunset just steps from your bedroom. Laura will guide you through twice-daily yoga and meditation practices. You will enjoy workshop style classes, flow and let go practices, as well as programming that focuses on restoration and meditation. 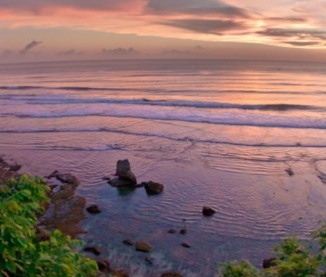 When not in class, you’ll have free time to explore the nearby surf breaks, swimming beaches, hiking trails and other adventures. 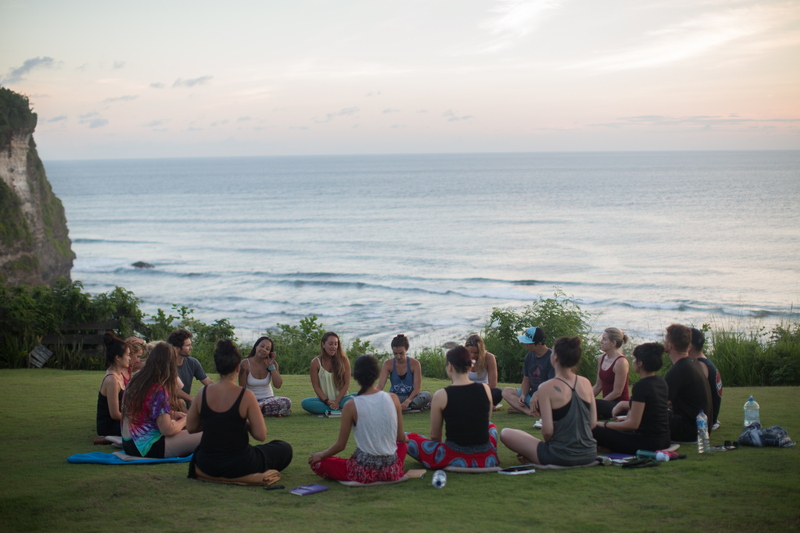 Seven days of yoga, healthy food, exploring, strong community and new friendships will leave you feeling clear, connected, rejuvenated, strengthened, supported and uplifted! 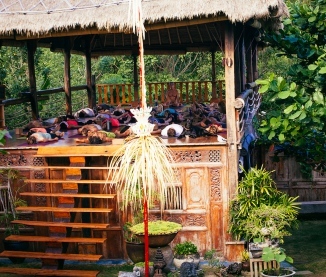 Come enjoy this retreat in paradise! A non-refundable deposit of $500 is required to hold your space. Final Balance Policy: Final payment must be received by	... February 15, 2018, in order to be eligible for the early bird pricing, and all payments are non-refundable.Cancellation Policy: In the event of cancellation, your entire payment will be refunded less the $500 deposit if the cancellation is made before February 15, 2018. Payments are non-refundable after this date. Travel Insurance: We strongly recommend that you purchase travel insurance for your trip. There are many travel insurance companies to choose from, but Travelex and World Nomads are two reputable organizations for worldwide travel coverage. 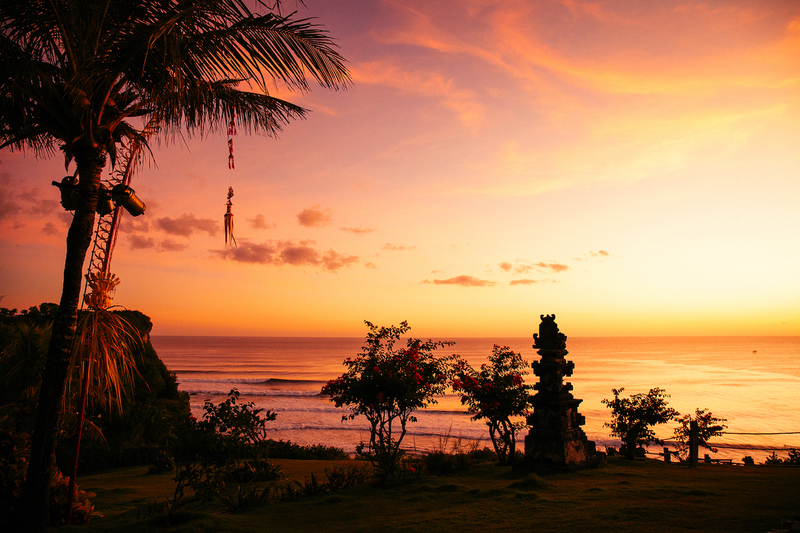 You will book your international ticket into and out of Denpasar (airport code: DPS). 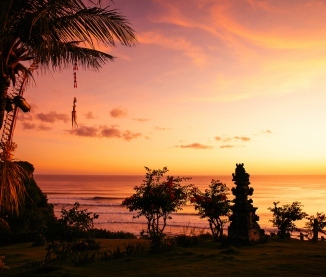 Do I need a Visa to travel to Bali? Yes, private airport transfers are included in the price of your trip. Whenever you arrive, day or night you will be met by a private driver and transported to the group hotel. Note if you arrive early and decide to stay at an alternate location other than our group hotel, you will be responsible for coordinating and paying for your own transportation directly with the hotel where you will be staying. 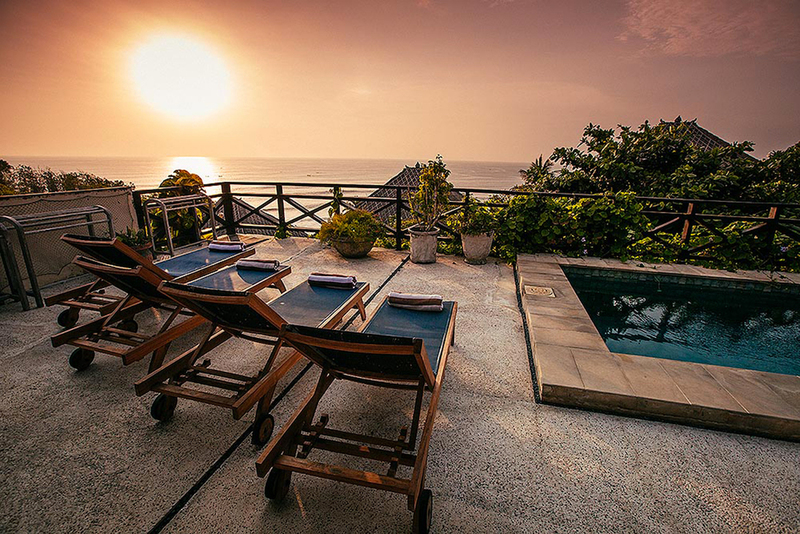 The retreat location sits cliff-front on the southern Indian Ocean with expansive views and amazing sunsets. 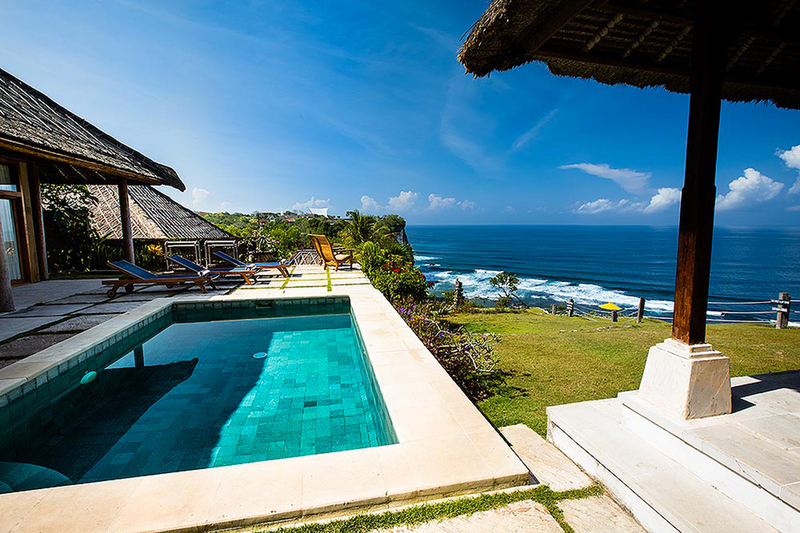 While commanding an ultimate view of Uluwatu surfing beach, the villas are also only minutes away from the famous Uluwatu temple, as well as some of Bali’s best “secret” beaches. 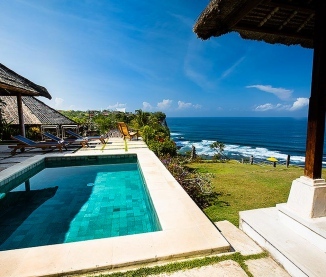 The location is comprised of two 3 bedroom shared villas. 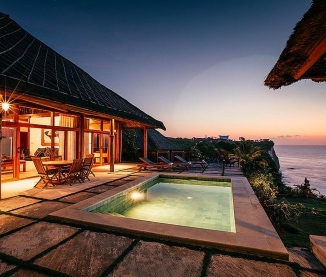 There is one master bedroom in each villa with a full en suite bathroom and two additional bedrooms (one ocean front the other standard) which have private showers and a shared toilet. 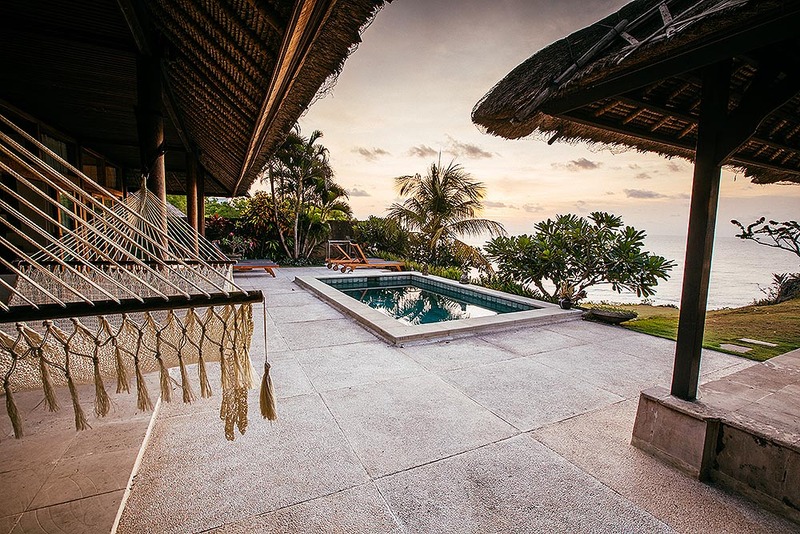 The common area includes a spacious living and dining area with an open-plan kitchen, a 6-meter swimming pool and an open “Bale” (thatched pavilion) with comfortable lounge chairs overlooking the pool. 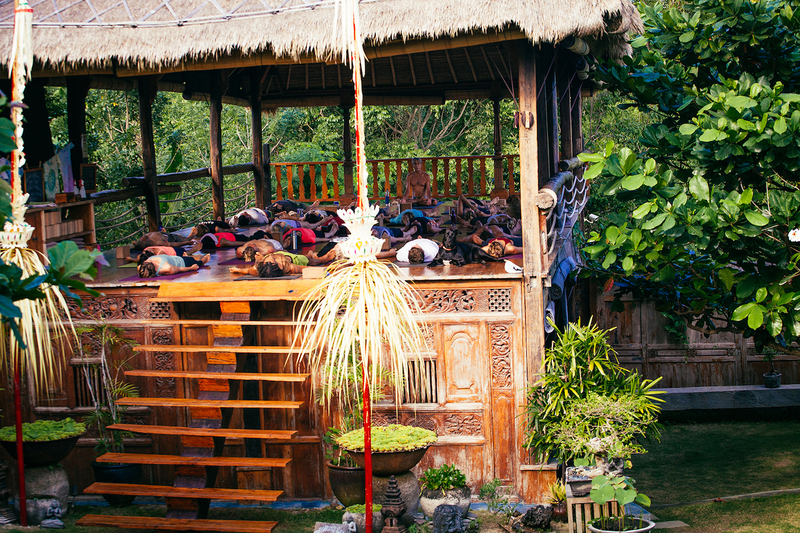 Tipping is not customary in Bali, but greatly appreciated. Recommended is $10/day per person for hotel staff. This can be given to management at the end of your stay. Tipping is also a nice gesture when eating out and to taxi drivers for their services.